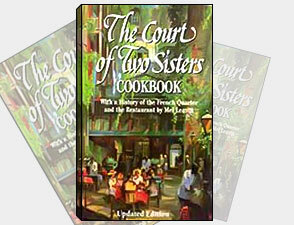 In addition to many Court of Two Sisters recipes, the cookbook includes the history of the French Quarter and the Court of Two Sisters along with color photographs. A new updated version was introduced in November 2016. 135 pages.